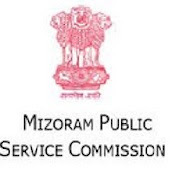 Online Application Details for Mizoram Public Service Commission Mizoram PSC Recruitment of 25 Staff Nurse is given below. Application form and duly attested documents are to be sent to Controller of Examinations, Mizoram Public Service Commission, New Secretariat Complex, New Capital Complex Road, Khatla, Aizwal, Mizoram: 796 001. In envelope super scribed with 'Application for the Post of Post Name'.